Those Licensing People has brokered a first of it kind deal in the pet licensing category bringing Roobarb & Custard into the world of pet food. 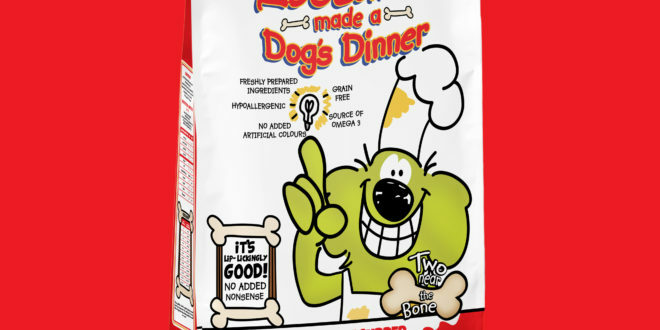 The innovative deal has seen Those Licensing People develop a direct to consumer product line of pet food, made in the UK under a brand called Two Near The Bone. 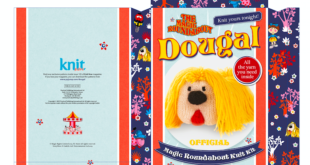 Launching in early April, there will be three different flavoured dog food SKUs – Top Dog Turkey Dinner, Gone Fishing Salmon Surprise and High Steak Angus Beef Supper – under the product label When Roobarb Made a Dog’s Dinner. Those Licensing People have worked closely with A&B TV, owners of the Roobarb & Custard brand, to bring to market the first licensed dog food brand that is ethically and sustainably produced in the UK. The dog food range will be delivered direct to customer’s homes in specially sourced, recyclable-ready bags from Law Print Packaging. The launch will be supported by a consumer marketing and PR campaign delivered from March onwards by the agent’s recently appointed agency, Grapevine Global PR, with whom it has a long-standing partnership, and be led by Kirsty Barr. 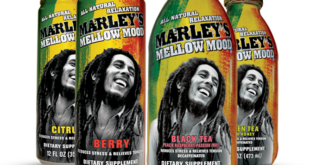 Commenting on the deal, Russell Dever, MD at Those Licensing People, said: “Adam Sharp and Bernadette Shanahan at A&B were clear in their brief for the Roobarb & Custard brand. Do something different. Break the mould. We believe we’ve done just that. Adam Sharp added: “Initially we will deliver direct to consumers in line with today’s retail trends. "Two Near The Bone’s dedicated website enables us to engage with our customers on our brand proposition, USP’s and other SKU’s, although we certainly haven’t ruled out bricks and mortar retail partnerships in the future. The global deal, which has been signed for an initial three years, is expected to expand into cat food associated with the Custard, Roobarb’s feline friend from the TV series, and is already in the early stages of development.